I know you are exhausted. The worry, stress, lies, manipulation and overwhelming fear has taken a toll on you. The negative emotions; guilt, shame, depression and anxiety are consuming you. Your life isn’t the same. How you long for peace and a sense of normalcy. I know this because I too love an addict. No matter how strong or independent a loved one is, addiction forces us into co-dependency and enabling behavior. It is part of our nature to care for our loved ones. How many times have we thought to ourselves “Of course I can fix this; he loves me”? I’m his wife, girlfriend, parent…. Here, I’ll take care of it and then you’ll be happy again and we can go back to being us…a family. My actions were textbook, from deleting contacts in his phone, calling suspected drug dealers, blocking any words relating to drugs or pills in his email to giving him money. I did these things until I couldn’t take it anymore. 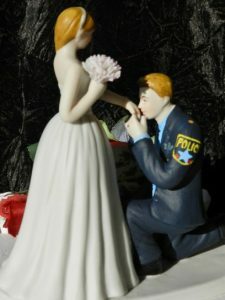 My loved one was a high ranking law enforcement officer. He had everything; money, power, integrity and a love affair with pills. A back injury necessitated the need for pain relief and his doctor kept him well stocked. I hated seeing my love in so much pain and made sure he always had his prescription available; even encouraged him to take them. These pills were prescribed by a medical professional for a legitimate need. What could go wrong? My pillar of the community, well respected chief law enforcement officer lost everything and became homeless. You see, the doctor decided one day that he was no longer going to prescribe any more pain pills. Withdrawal had it’s claws in him and just this once, he decided to use Heroin. The descent escalated and I no longer knew the man that I once loved with my entire heart and soul. He became someone I did not like. How do you love someone and not like them? I wasn’t sure either until I educated myself on the disease of addiction. I learned, with the help of the professionals at Advanced Health and Education, that I still loved the person but despised the addict. Although there are still days that I do not like my loved one, I can finally understand the difference. Addiction forces us to deal with the possibility and sometimes probability of the death of our loved one. In our minds, we have already planned and attended their funeral. We wonder how we are going to get through it in one piece, without jumping into the coffin and never letting go. We live through the day we bury our loved one and all the days that follow. That’s what addiction does to us and most of us have never taken a drug. We have zero control over that impending death. We cry, scream, threaten. We walk away and come back under the promise that our loved one will stop and get help, only to be forced into the same situation over and over again until we walk away for good or our loved one dies. When we stop enabling and realize our own errors, we can finally try the last option. Treatment. Entrust the care and safety of your loved one to the professionals. Advanced Health and Education (https://www.advhealth.com) together with their Frontline program (www.frontlinerehab.com), saved his life. The staff, many in recovery themselves, are kind, caring, compassionate and go above and beyond in every aspect. Their aftercare program, which is the mainstay of successful treatment, is phenomenal. Without it my loved one would most likely be dead. After nearly two years on the streets of Philadelphia, my loved one has been clean and sober for fourteen months at the time of this writing. The journey doesn’t end in thirty, sixty or ninety days and in a sense, the hard part is just beginning. Just as addiction is a process, so is recovery. In the right facility, our loved one will be taught how to live again no matter how old they are. Our loved ones need our guidance but we must allow the professionals to do their jobs. We are strong. We can do this. Recovery is possible. From Police Chief To Heroin Addict Firefighters and Cancer: Are You at Risk?